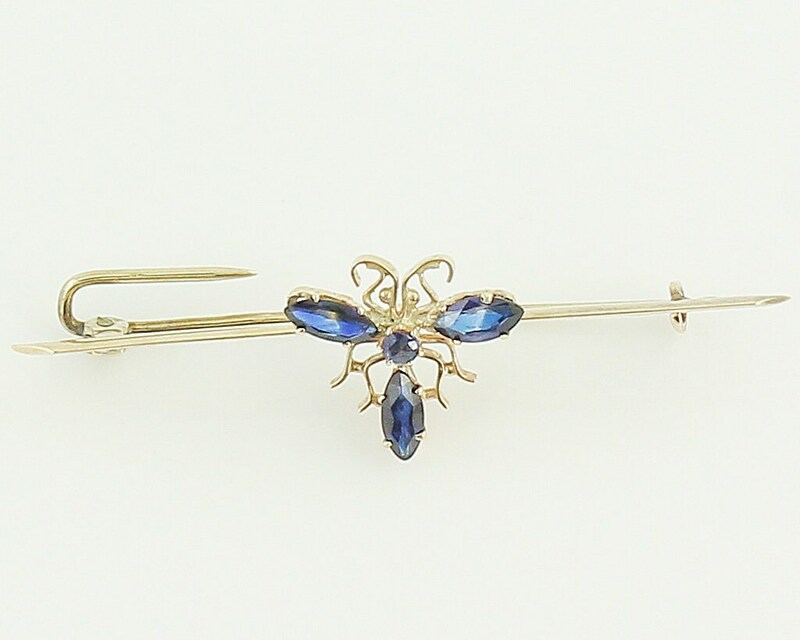 Antique 14K Yellow Gold Blue Sapphire Bug or Insect Cravat Pin. 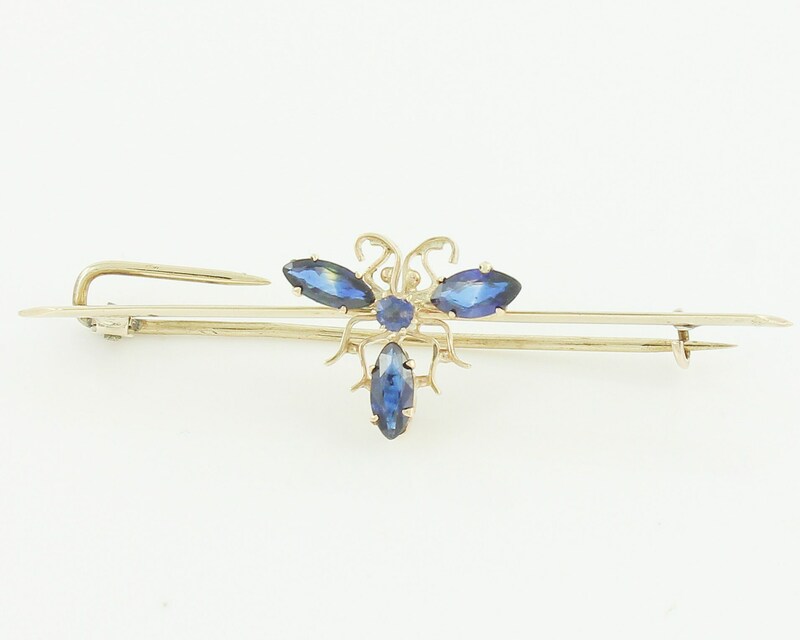 This Victorian bar pin was made in the period 1880-1900. 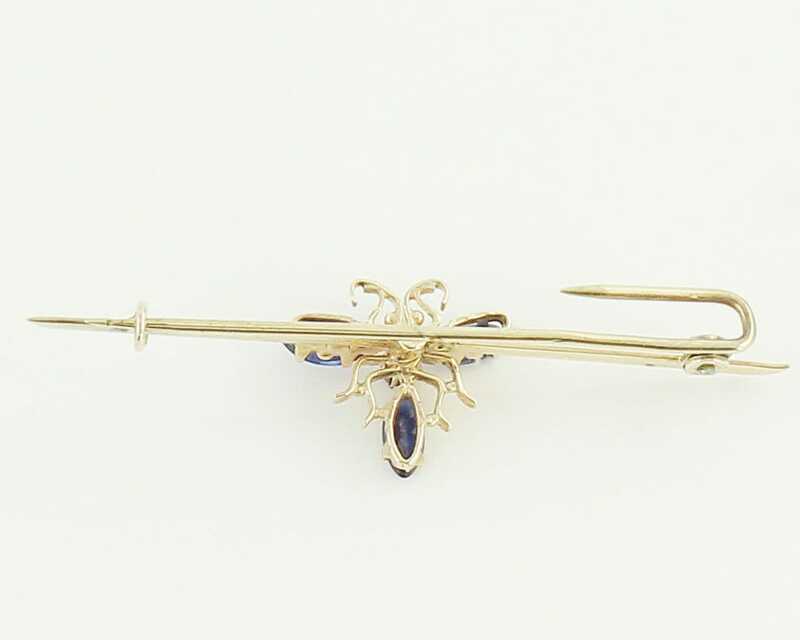 It is 14K yellow gold set with three marquise and one rose cut natural blue sapphires. The brooch is finished with a C clasp and has an unusual barbed end. The bar pin measures 2 inches long and the fly measures approximately 1/2 X 1/2 inch. In very good vintage condition, with very minor surface wear and chipping to the edge of the rose cut sapphire.